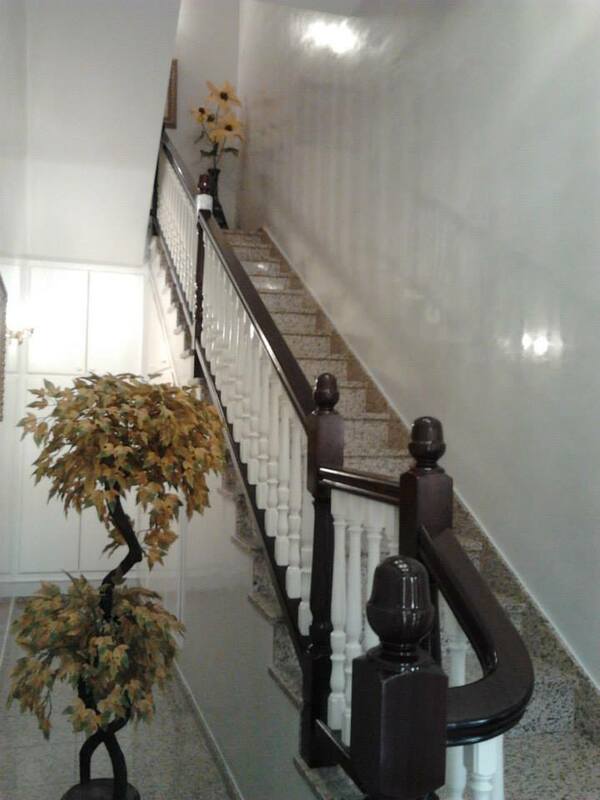 Staircase's wall decorated with Venetian stucco with white marbled effect. 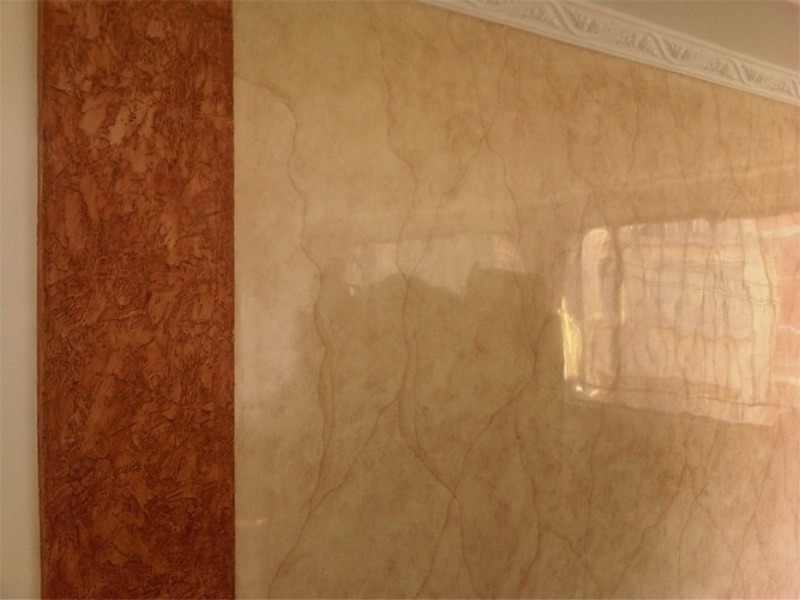 Living room's wall decorated with Venetian stucco with orange marbled effect. 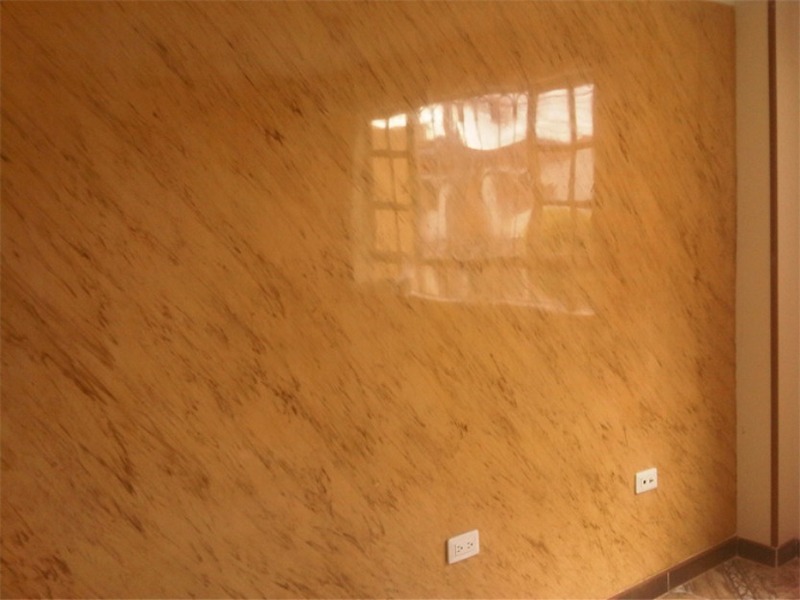 Living room's wall decorated with Venetian stucco with marbled effect. There's a column decorated in color grit. 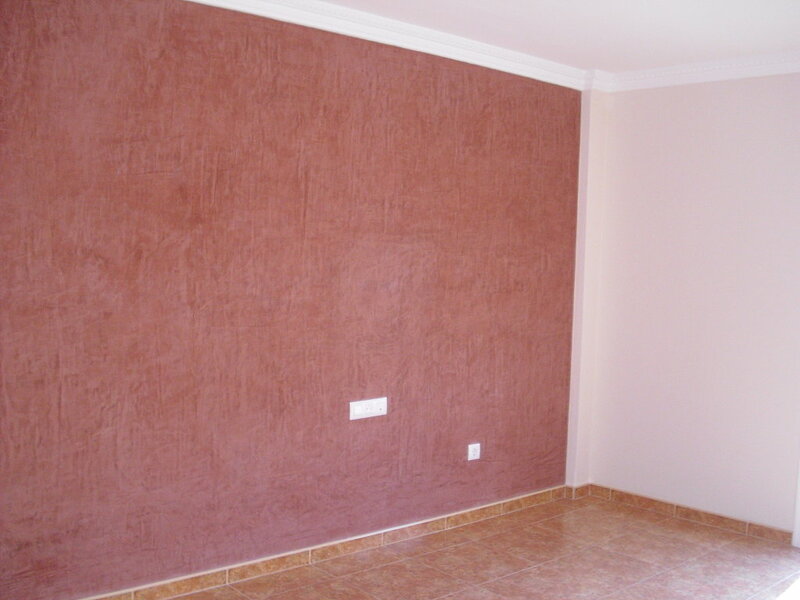 Living room's wall decorated with Venetian stucco with soft red marbled effect. 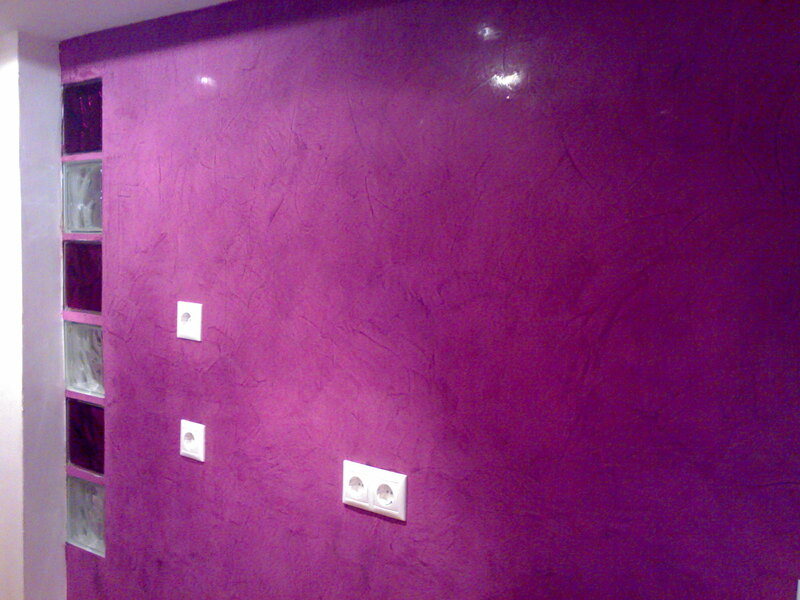 Living room's wall decorated with Venetian stucco with lilac marbled effect. 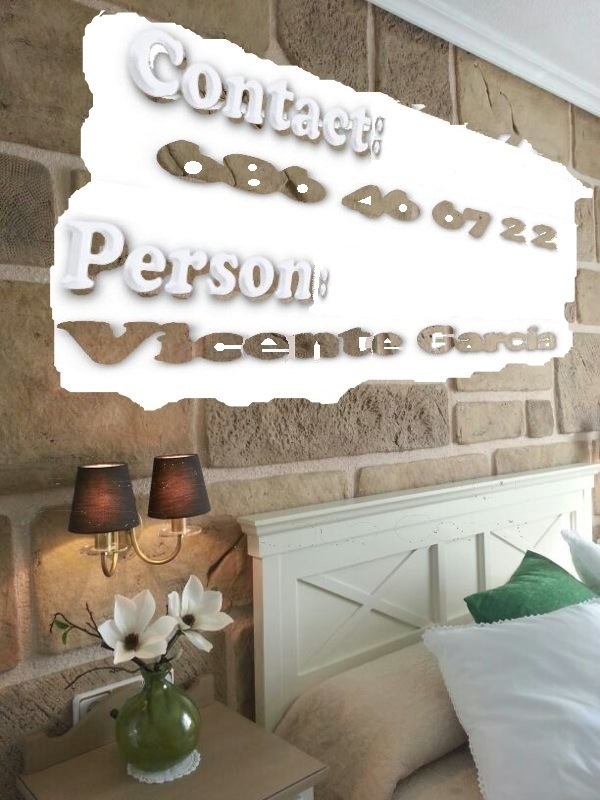 Painting with decorative venetian stucco effect is a painting that imitates marble and applied indoors. This decoration gives an appearance of luxury and classic, but now also used in modern decorations.